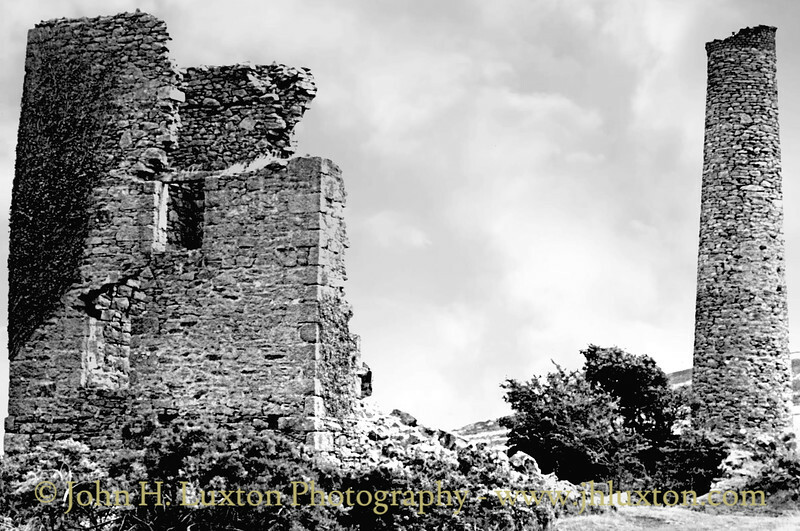 Wheal Jenkin sett was probably already established (as a tin mining site worked by shallow shafts and an adit) when it was taken up in 1824, and worked by the Cornwall Great United Mining Association (London) between 1836-7. 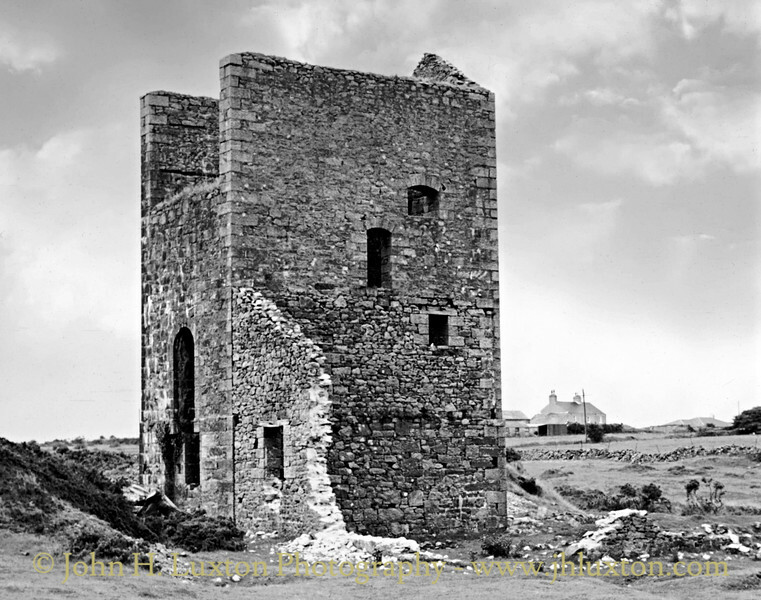 A steam engine was erected at Wheal Jenkin in October 1836 to work 40 head of stamps, and 21 heads of new water-stamps were also under construction to handle the ore from the Cornwall Great United Mines. 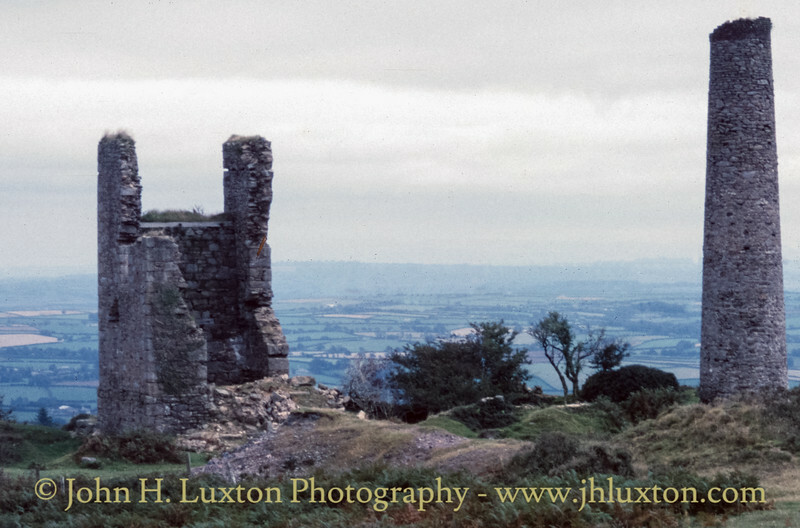 In the 1870s Wheal Jenkin it was acquired by the Marke Valley adventurers. In 1881, the mine was re-opened as part of Marke Valley Consols Mines Ltd. 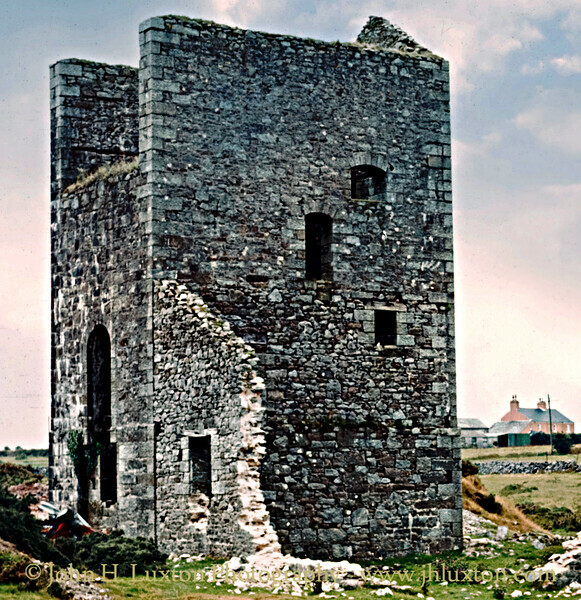 Working for tin, the former Whim shaft was re-opened as Bellingham's shaft, and, in 1886, the Holman's shaft (South Caradon) 70" engine was re-erected in a new engine house. The mine closed in 1890 and there are no records of any attempt to re-prospect the lodes during the early years of the 20th Century. 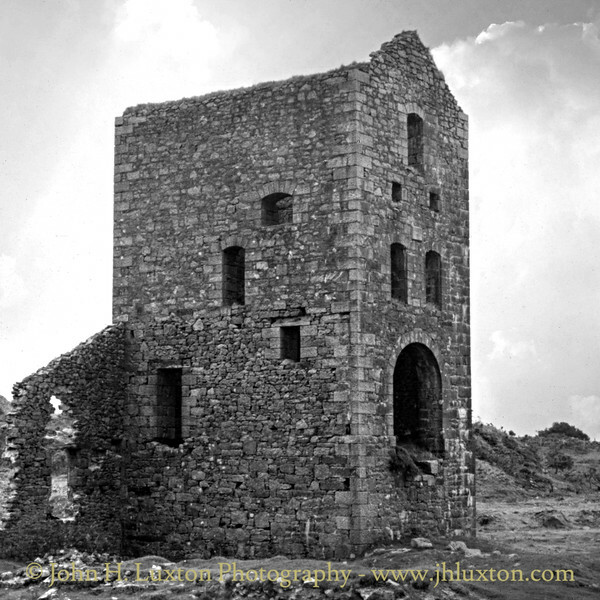 The pumping engine house at Wheal Jenkin Bellingham's Shaft. 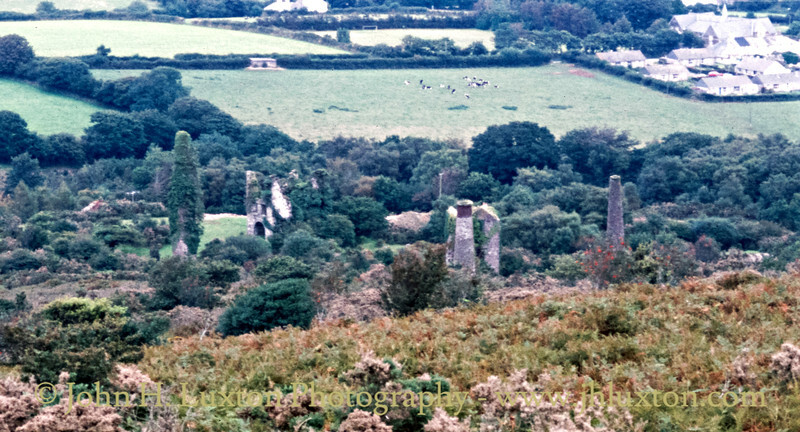 General View of Marke Valley Mine from the track bed of the Liskeard and Cardon Railway.